Are These 3 Diets Healthy Or Culprit For Your Skin? Diets come and go and the popular “fad” diets that consumers are currently embracing include detox, Paleo and low carbohydrate. Unfortunately women, looking for specific health and beauty outcomes will try these diets for short or long periods of time. Unknowingly, many of these fads can be detrimental to bodies, both inside and out. Skin, nail and hair care are top of mind for females, no matter what age. Wanting flawless skin is a priority for many, including me. Many people may think that a trendy diet or restrictive eating pattern is ‘good’ for or ‘cleaning’ the body. However, some of diets may actually deprive your body from the nutrients it really needs to maintain proper growth, function and structure. Let’s take a look at three trendy diets as related to skin care and health. Detox diet programs have been around for centuries and have recently been brought back to light because of celebrity endorsements claiming clearer skin and fewer wrinkles. Detox diets claim to cleanse your body and revitalize your body by getting rid of toxins that have built up in your system. Detox or cleanses usually consist of fasting or drinking clear juices then transitioning to eating only certain whole foods for periods of time, ranging from 24 hours to several days. Maintain adequate hydration with clean water. Eat five to nine servings of fruit and vegetables per day. Consume enough fiber each day from vegetables, nuts, seeds and whole grains. Fasting for even a short period of time can wreak havoc on your skin. Your skin, which is an organ in and of itself, and in fact that largest organ of the body, needs protein, fats and carbohydrates for proper function. Eating like a caveman has become chic and many consumers think that eating like hunters and gathers can have positive effects on their skin. Eating how our ancestors ate was made popular a few years ago by a book The Paleo Diet written by Loren Cordain, PhD. Interestingly, he has also penned a new book The Dietary Cure for Acne. As with obesity or being overweight, having acne is a complex issue that cannot be solved simply by added or eliminating various foods from the diet. 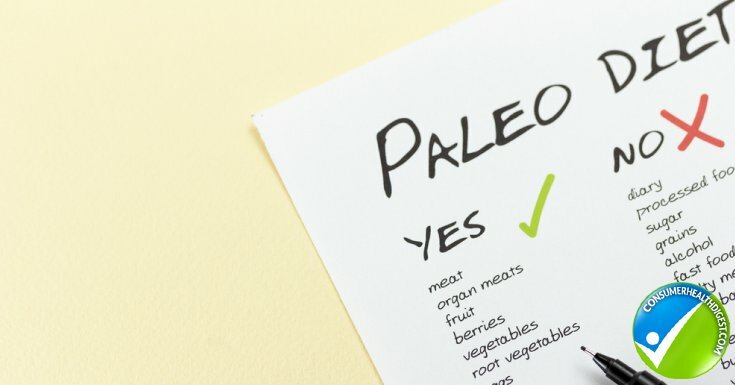 The Paleo Diet is bottom line, an elimination diet. No wheat, no dairy, no peanuts, no potatoes and absolutely no processed foods. You don’t have to study food, nutrition and dietetics to see that many major nutrients are lacking in this meal plan. And obviously taking a supplement to ensure you are getting all these missing micronutrients is a no-no. Not a good diet for the body, much less a healthy skin. The meal plan does include lots of fruits and vegetables, which are high in antioxidants and a plus for healthy skin, but it would be difficult to follow such a diet for a long period of time and it could result in poor overall health, which in the long, will affect your skin. Eating the right types of dietary fats is important for overall good health as well as healthy skin. Research in the area of diet and skin health is limited and in fact still in beginning stages. Some research has been shown in an animal model to support the consumption of unsaturated fat but these studies have been done in animals with unhealthy skin. Consumers continue to be confused about what types of dietary fats they should consume. There are saturated and trans fats which are considered “bad”. Saturated fats come mostly from animal sources but also are found in coconut and palm oils. Fatty meats and many processed foods including potpies, pastries, ice cream and other baked goods are high in saturated fat. Thankfully, trans fat is pretty much gone from the American diet for it increases risk for heart disease. 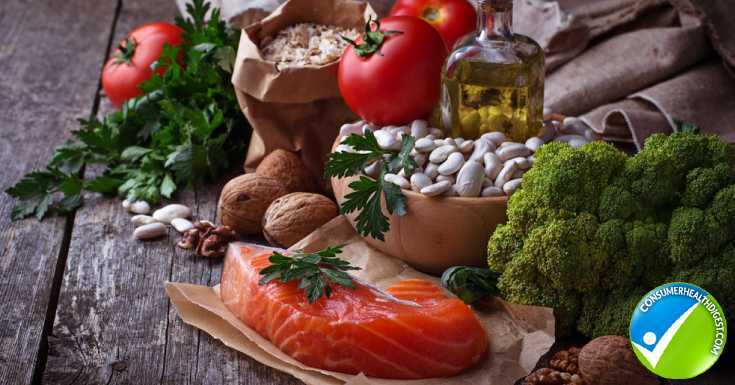 “Good” fats include polyunsaturated fats that are found in walnuts, fatty fish, flaxseed and canola oil, which provide other essential nutrients for good health. Monounsaturated fats which are found in foods such as avocado, peanuts, olive oil and seeds like pumpkin and sunflower are great sources and should be included in the diet daily. Healthy fats really do equate with healthy skin. Not Sure What Foods Are Included In A Balanced Diet? Read More: Diet And Exercise: The Best Way To Lose* Weight Fast! Having the healthiest skin possible is a complex matter but diet is a key component. Falling for popular or fad diets can be tempting when you see dry skin, acne, wrinkles or flaking itchy patches. While what you eat affects the body both inside and out, going on these types of diets that eliminate certain food groups, decrease important nutrient consumption or decrease calories to the point of quick weight loss are not healthy short or long term. My suggestion is to see a doctor if you have major issues with skin disease. But if you are healthy and consume well-balanced meals regularly, overall you skin will thank you.